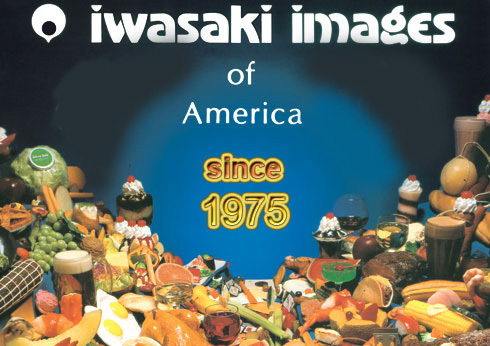 Iwasaki Images of America, established in 1975, is a premiere display food manufacturer. Fortune 500 companies, chain restaurants, supermarkets, and the entertainment industry use our replica food products to create the most realistic food displays and props available in the fake food industry. Utilize our replica foods to increase sales and profits by eliminating or reducing labor and materials costs. Use our fake foods to show life-size replicas of your menu items. Create a fresh-looking, appetizing food display. Display our replica foods as a decor to create the desired ambiance. Replica foods are used for demonstrations and sales kits. Artificial foods are also utilized for training, quality control and entertainment. Our fake foods are used to educate consumers about portion control. Sorry, your browser does not support the audio format. Powered by AAA Computer Services Net. Please Report Errors Here !